Dear beloved readers. Usually, I update about the latest music projects coming up, but as you may remember from things like EDMT and our history as an open source netlabel, we are heavily interested in technology and software that helps people produce and perform music. Here is the story: Two years ago Gianluca Baccanico, back then running the Loophole in Boddinstrasse and founder of the alternative Berlin Filmfestival Boddinale, approach me with this project of his.The guy is a smart media philosopher and visionary and yet the platform he was trying to build was a monster. I started to look at the code. Two months I tried getting the thing back to life …. nothing. The old programmer went mental in the process and so the project seemed doomed. By that time the platform had nearly 500 beta testers, but none of the necessary changes could be made. Despite all the odds, Gianluca didn’t give up, got out of his debts and even raised some little money to begin fresh! He renamed it to Muriquee after the monkeys that huge each other to determine their alpha animals. I recruited genius Janik Hotz from the band Cindy Sizer and the three of us set out to rewrite the entire platform, from server to database, to frontend. The entire project is a complete grassroots google map extension trying to help artists that book their own tours. 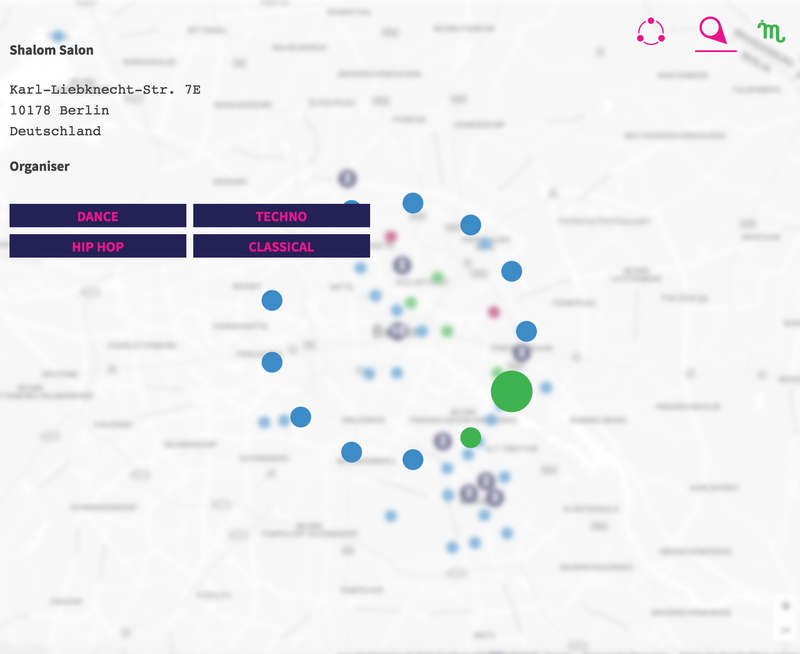 You tell the system where you will be at certain dates and defining a radius around your tour, promoters and bookers and other artists nearby will show up around you. Than you contact them and negotiate gigs. No payments are made inside the platform — it works with the trust of the community members. It works internationally and will always be free to use for artists. YOU — already there is more than 100 beta testers inside to explore how this tool we build will work in day to day use. 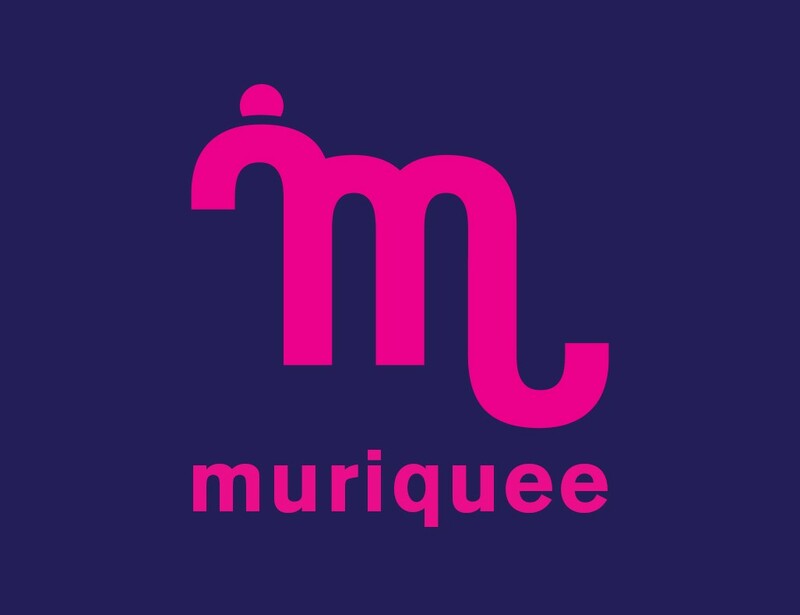 The Muriquee team will than try to push the Functionalities to go public and find more funds to get the entire thing moving. 1. you will create your profiles and locate them on the map. Only artists can plan tours for now. 2. 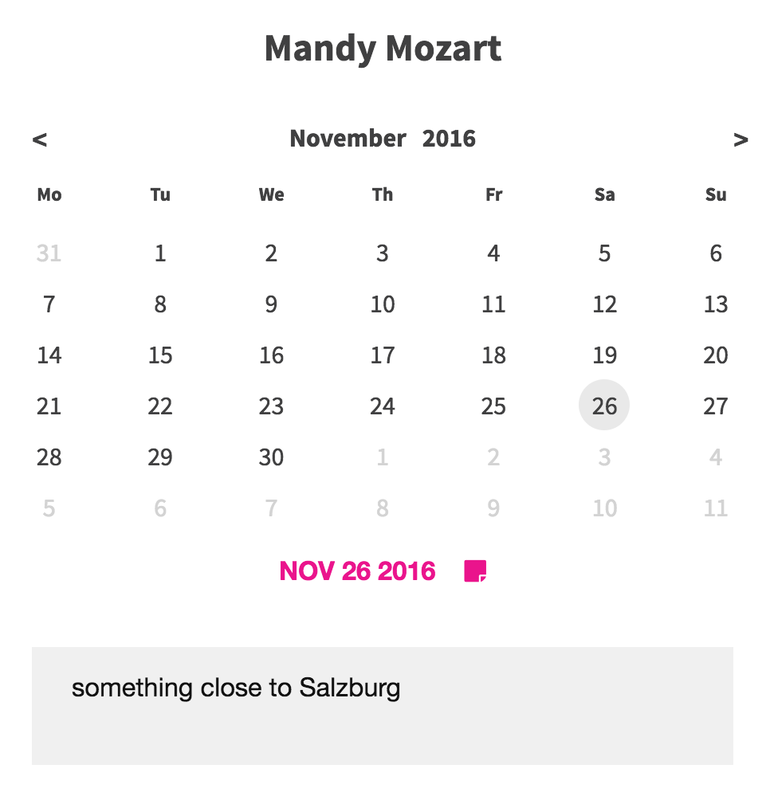 The Results on the Map, your Message Center and the Tours and everything you see is sorted by the date of the calendar. 3. You will find others as colored dots on the map. BLUE is artists, Green is Organizers and purple is Venues. 4. Sending offers is super simple and can be done to anyone selected on a specific date. That’s a huge plus compared to any other booking platform I have been using before. 5. And than you talk biz, but only those that have a serious interest in a booking get to chat. Keeping it all simple and straight! If both of you agree on the conditions, your Offer turns into a confirmed gig. 6. The tour planner — with this feature you can plan your future. Just add your existing tour dates and locations to the tour planner and play around with the filters and radius search. Maybe somebody is looking for an act in between or on one of your off days. That is nothing any booker could do that easily. To sum it all up, yes it is in on its baby feet, but up and running and build in a way that your feedback really can be implemented quickly. Also there is a strong and enthusiastic team behind the platform now that are trying to push it to the next level. Please, let us know your feedback and I am happy to be part of this exciting and not so ordinary community project. The end of 2016 is a promising time, many more Shalom Salon and projects will hit the world for the first time. I hope you will stay with us and appreciate what ever we up our sleeves.